One of the best things about an inflatable SUP board is how accessible and adaptable they are; iSUP boards are easy to travel with, so you can put them onto any water you come across. However, if you do travel a lot with your board, you need to make sure you keep it in good shape and take care of it to prevent damages, so it will last longer. 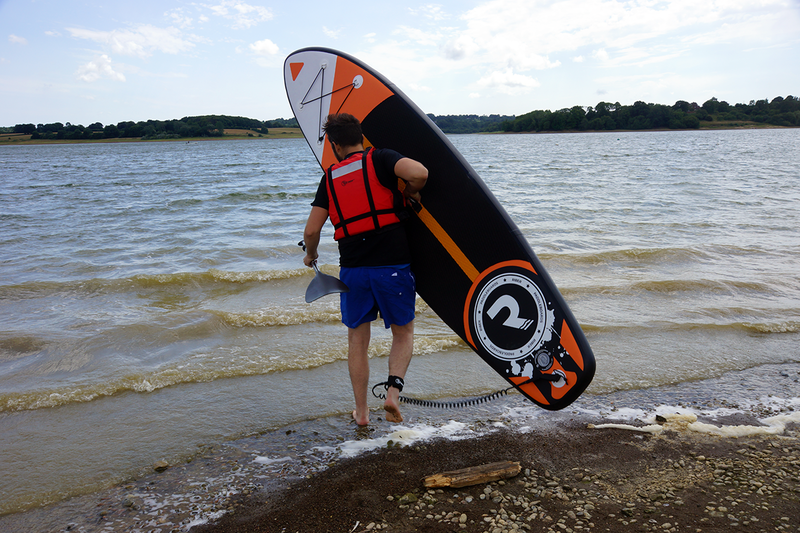 Caring for your inflatable stand up paddleboard is simple, as they are built to be able to withstand a fair amount of abuse, but it is best to be vigilant, so you get the most of your iSUP. We have put together some tips to help you take care of your board. It sounds obvious, especially when there are handles on the board which are there purposefully to allow you to carry the board with ease. If you drag your board over any surface – gravel, rocks, debris or sand – the board will get minor cuts that if you continue to drag the board rather than carry it will build up and could lead to a tear or crack. Boards are heavy, and when you have far to carry them to the water, it can get tiring. However, when you need a rest or want to switch arms, be careful when putting down the board. Dropping it on a hard or rough surface could lead to a crack, and when there is a crack, water leaking into the board is inevitable. Inflatable boards will dry quickly, but any sand and mud will stay on. After a paddle session, give the board a quick wipe down with an old towel, so excess water is removed before storing it its carry bag. When you get home, give the board a good rinse, which is especially important after you have been in saltwater before drying it. If there is a lot of dirt on the board, some washing up liquid and a soft brush are enough to clean it off. Your inflatable SUP board can be deflated so when it comes to storing it; it won’t take up as much space as a hard or inflated board. Get yourself a carry bag, which will provide extra protection, and keep your board indoors in a cool and dry place out of sunlight. If you leave your board out, sun, rain and wind can do all sorts of damage the naked eye won’t spot easily. Fins for your SUP board can be replaced, but it is not always cheap and can be a nuisance to do so. Take your fin off the board when it is not in use and when it is inflated, be sure to leave the board fin side up, away from the ground or wall it is resting against. Also, when you place the board in the water, ensure it is deep enough so the fin won’t hit the bottom. 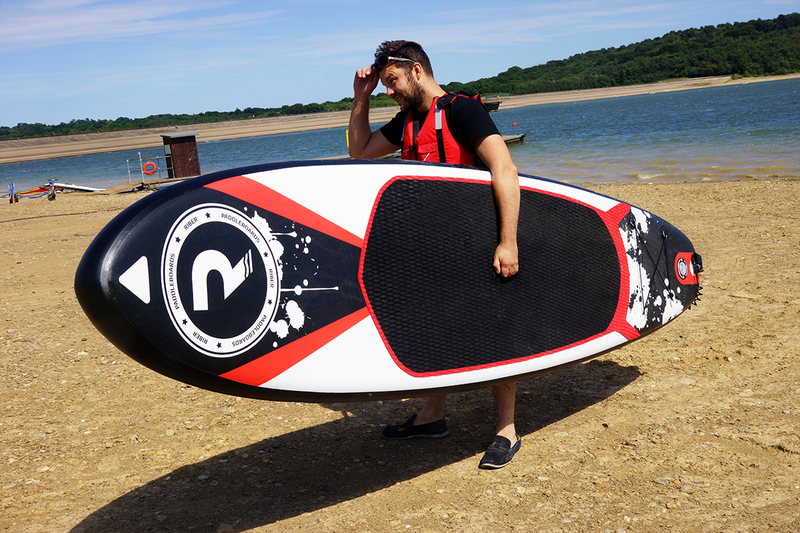 In extreme heat – though not hugely likely in the UK – the air pressure of your inflatable SUP board will expand. If you have been paddling for hours in the heat, take a few minutes to stop on the shore to let out some air pressure. Alternatively, in extremely cold weather, the air pressure will drop, and you may need to add more air after a few hours of paddling. Dings on your iSUP do happen, and it is best to deal with them as soon as possible, as the dings could lead to cracks, leaking and reduced buoyancy. Our SUP boards for sale all come with a repair kit, and there is plenty of advice out there to help you when it comes to repairing your board, including us. Contact us via social media or by phone if you want more information on your iSUP board.